Interested, hopefully they announce specs and release date next month at CP+. I’m looking to upgrade from the 5dsr but looking for more than just more megapixels. I’m ok with 50, wouldn’t say no to more but would like a couple more fps, two CFast cards and good AF-C with silent burst shooting mode. Is that to much to ask for? Ha. Probably is a bit much to ask for ;-) Of course, I imagine they'll have lower fps for 100 MP. But that's the other thing...I don't know why it's so technically impossible to add 50% resolution image capture at a higher frame rate for these things. I understand the camera still has to grab those pixels and dump a bunch of them at a faster rate, but you'd think it could do a short burst if they just had a killer, super fast buffer in there, which more of these cameras need to have anyway these days. Would be nice to have 100 MP at 3-5 fps, 50 MP at 5-7 fps, and 25 MP at 10+fps all in one body. I'd pay good money for that if it had good AF to go along with it. I would rather have more dynamic range on these sensors than megapixels. If the camera sensor was able to see more detail with less light, I would be very happy with that on the 35mm level. Shot a wedding a couple weeks ago and the low light situation exposed that my D800 is long in the tooth for what's available today. That got me thinking about getting a D850 for my outfit, but I love what the D750 sensor. With that said, The only reason to invest in more megapixels these days is for uncompromised detail and only the D850 is in the conversation with Medium Format, but it still is not close. The D850 only has speed on its side otherwise, modern MF bodies make any FF 35mm image obsolete. I love the D750, too. But the D850 is hands-down the best camera of its kind on the market today (for stills). Will still beat the D750 in DR and general low-light capabilities, especially when you factor in the increased resolution. They've done a lot in these few years. But yes, the D800 is getting a bit old. The D810 was what the D800 always should have been. And now with the D850, they've really knocked it out of the park. Wondering if Canon can step it up to the next level if this all actually comes true. Canon files look great too, but not as flexible as Nikon's. Canon would have to update their sensors but I think that Loyal Canon Users do not want that because they love the Canon look. The D850 is amazing! I'm not sure how much latitude the files have, but the D750 as at least two EV in capture one. I am going to rent it eventually and find out for myself. What size prints are people planning to make?? I do 20x30 metal prints all the time and want as much detail as I can get. I also have a spot on my wall for a 48x60 whenever I get the right shot. Hey I love metal prints, I get mine done at Mpix, how about you, where do you get your prints? And I get prints at Bumblejax.com, they are in acrylic, half inch thick. While the High-Resolution sensors are great to have for 35mm cameras, they will never match the quality of Medium Format sensors. Honestly, 50mp-75mp is about where I would cap the pixels for FF cameras because you only gain image size after 50mp. I will say that aside from a new sensor technical development, we have seen the best that 35mm currently has to offer in the megapixels race. And you say this as an engineer who is developing sensors? I say this as a print professional and commercial photographer at an agency that sees images every day. The difference between Medium Format files and 35mm files are night and day. Right. So you DON'T actually know what you're talking about in regard to the ceiling on sensor capabilities. Of course there will always be physical limitations. Whether we are close to that point or not is something only engineers working in the field would probably know. Regardless, I don't subscribe to this belief that Medium Format is somehow fundamentally different. It's just the same exact technology used in Full Frame sensors scaled up to a larger size. The benefit from Medium Format comes from the larger surface area of the sensor and subsequently less scaling required to hit whatever print size you're looking to print, not from some MF voodoo that results in better color fidelity or some other nonsense. That’ll be one low DLA. 16 bit color and dual card slots are on my Santa’s list. Higher mp hides luminosity masks when printed or even seen on screens. I’m looking forward to higher mp if only for that one reason. one line in and already wrong. Fujifilm long since announced a 100mp GFX100 with IBIS for release and sale early this year. 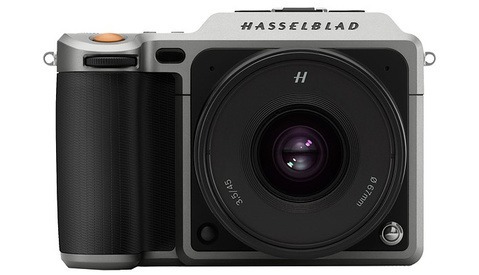 it was previewed at Photokina. and 2+ years into a line of MF lenses. I left out the part adding the important note, "in a standard-size body." Thanks for the reminder! But yes, looking forward to the Fuji, too. Should be interesting. But overall, hypothetically better and faster AF, better lens selection (eventually), etc., might make the Canon a more interesting proposition. It's all quite early to say, though (and of course, the bigger sensor will always have its advantages). Nobody knows if this Canon camera will have a "standard size" body. 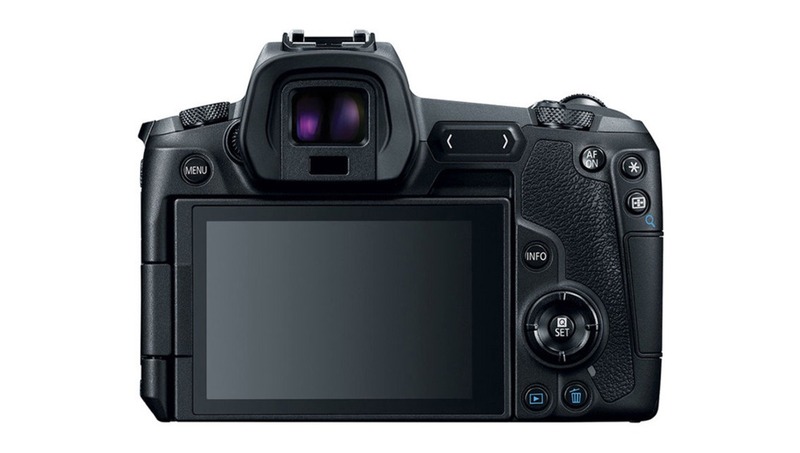 GFX 100S is already announced with IBIS in a DSLR sized body including battery grip. 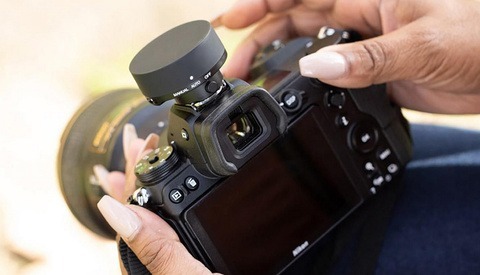 Also all 7 Fuji GF lenses are designed to bring 100Mpx to the sensor. I don't think Canon have that much 100Mpx capable lenses at the moment. 100 MP is supposedly going to make headlines but any benefit to our erveryday photography is unlikely. Futhermore it will not overcome geometrical limitations of optics and sensor size as you correctly stated. Basically remindes me of that 4K/8K vglogging camera hype to create footage that is watched with 480p. Am I the only person who misses Canon's older method for AF focus selection? They used to use rotary dials for AF point selection which is way faster than the 4 way buttons they are using on the EOS R camera. The R leverages the LCD screen for AF Point selection when it detects your eye on the EVF. It’s one of the Rs great features. You drag your thumb and the AF point slides with it. Have you actually ever used one?